Maserati made a not-so-subtle hint last week about bringing a sports car concept to the Geneva Motor Show. We thought it was going to be a Jaguar F-Type fighter. This is the Maserati Alfieri, and it better be coming to a showroom soon. Is Maserati Making An F-Type? 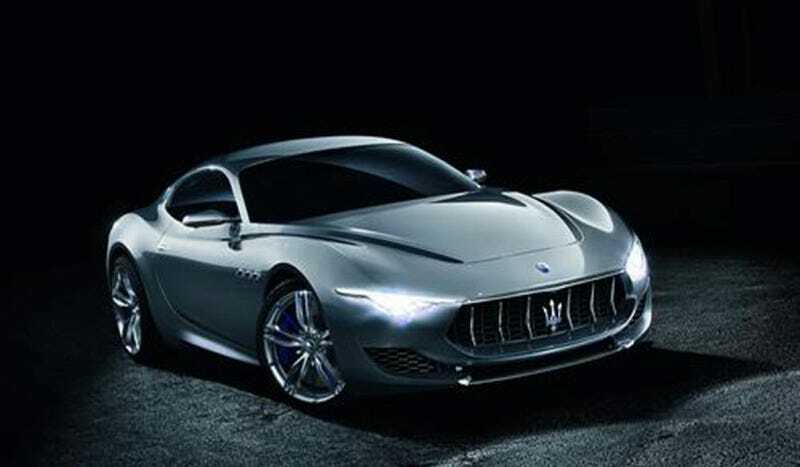 Photos of the Alfieri concept leaked on Italian website Autopareri on the eve of its official debut. Especially at the rear, there are hints of F-Type coupe in the shot. But then it is supposed to be smaller and sportier than the old GranTurismo coupes that sit alongside the new Ghibli and Quattroporte sedans. As Ferrari did with the Enzo (and Ford with Edsel, for that matter), Maserati pulled a name from one of the Maserati brothers who founded the company. Unfortunately, Alfieri also sounds like a different Fieri. Anyway, the car will probably be better than anything Guy could've put together.